There’s no excuse for not backing up everything, thanks to these hardware solutions for Mac, iPad, and iPhone. 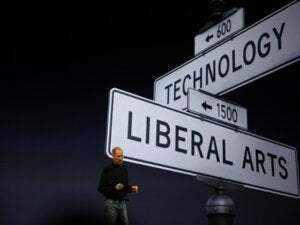 As great as Apple’s tablets, smartphones and computers are, nothing’s perfect. All hardware eventually fails. Your iPhone or MacBook can get lost or stolen. Files can be corrupted. If any of these things happen at a time when backing your data up to the cloud isn’t an option, you’re gonna have a bad day. For a guy like me, who travels as he works, one bad day’s worth of lost data can add up to a ton of lost revenue. That’s why I always pack some additional hardware to make sure that I can back up my files, no matter where I roam. And if the external drives I rely on also allow me to bring a long a whack of music and movies to keep me occupied while I’m on a plane or train? All the better! 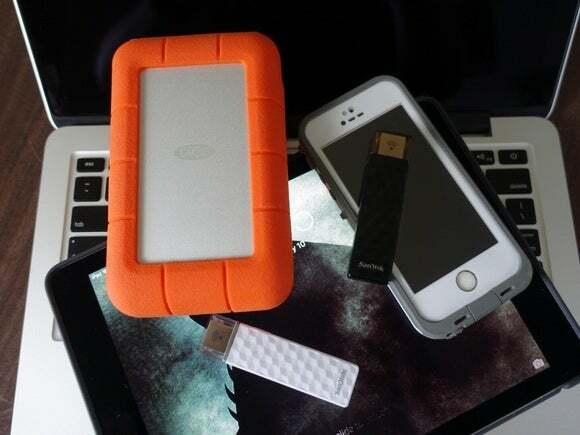 Depending on whether I bring my 13-inch MacBook Pro with Retina Display or my 9.7-inch iPad Pro with me, you’ll find one of two backup solutions jammed into my backpack: LaCie’s Rugged RAID 4TB for my laptop, or SanDisk’s 200GB Connect Wireless Stick to use with my iPad and iPhone. LaCie's Rugged RAID 4TB can be configured as RAID-0 for a full 4TB of storage, or RAID-1 for a 2TB volume that backs itself up to the other drive. As its name suggests, LaCie’s Rugged RAID 4TB comes packing four terabytes of physical storage, spanning across two 2TB hard drives. Depending on your needs, you can opt to use all 4TB in a RAID–0 configuration, or, if you’re paranoid about your data like I am, set the Rugged RAID up to function as a RAID–1 device. A RAID–1 will write your data to one of the device’s 2TB drives and duplicate it on the second one, essentially backing up your Mac’s backup. Measuring 1.3 by 3.6 by 5.8 inches and weighing in at 1.2 pounds, the Rugged RAID is a little chunky for a portable drive, but the thing is built like a tank. With its beefy enclosure and iconic orange rubber bumper, it comes with an Ingress Protection rating of 54, meaning it has limited protection from dust and water, can survive a drop (while not operating) from a height of five feet, and can withstand up to one ton of pressure. If you’re interested in testing the latter, be my guest: Drive over it with your car and let me know how it works out. I’m willing to take LaCie’s word for it. 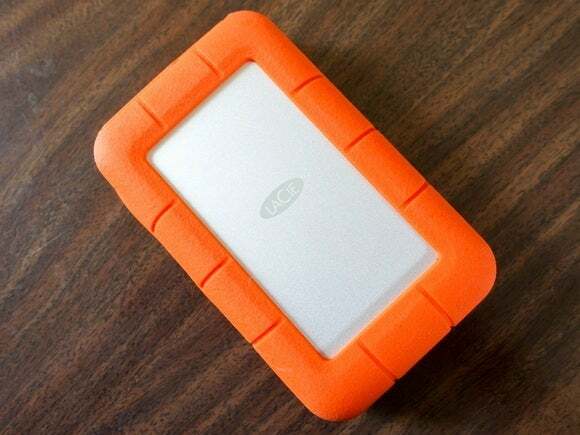 LaCie’s Rugged RAID can connect via Thunderbolt or with a USB 3.0 cable. You’ll need to use its AC adapter for the latter, though. Ideally, you should connect the Rugged RAID to your laptop via the portable drive’s integrated Thunderbolt cable. Doing so allows you to operate the Rugged RAID via bus power and achieve transfer speeds of up to 240MB/s when using it as a RAID–0 device. No Thunderbolt port? Don’t sweat it. You can also connect the Rugged RAID to your computer via USB 3.0. Unfortunately, going this route means that bus power is out the window. To power the Rugged RAID’s drives, you’ll need to use its included power adapter. In my travels, I’ve found that the Rugged RAID handles file transfers like a champ. The movies and music I store on it are quickly shuttled to my iPhone and iPad via iTunes and are ready to watch almost ran instantly on my computer. It also makes quick work of RAW photos as well as Adobe Lightroom and Time Machine backups. Priced at $379 on Amazon (or $399 list), the LaCie Rugged RAID doesn’t come cheap. But you’ll be hard pressed to find a more reliable, rough and tumble backup solution. Having one on hand makes me feel loads better about my spendings months on end in Mexico and Central America next year, where internet connectivity will be iffy, and I’ll need a reliable way to ensure that my photos and documents will survive long enough to find their way to my editors. The SanDisk Connect Wireless Stick comes in multiple sizes, from 16GB up to 200GB. Until late last year, I was in the habit of packing Seagate’s 1TB Wireless Plus mobile hard drive to use with my iPad. But its size, weight, and lousy app interface left me feeling like I was almost better off bringing my laptop with me instead of just rolling with my iPad. Happily, I stumbled upon the SanDisk Connect Wireless Stick and never looked back. 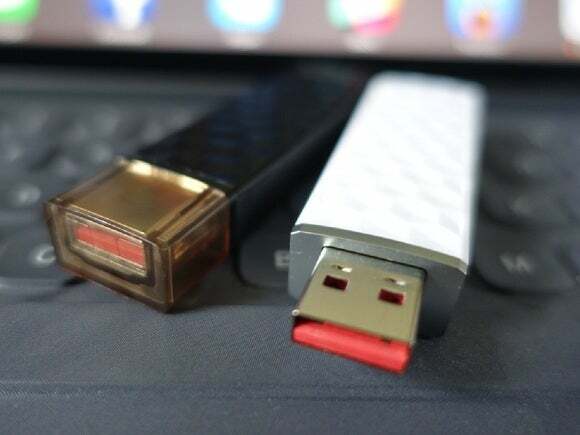 Available in 16GB, 32GB, 64GB, 128GB, and 200GB capacities, the Wireless Stick looks like a USB stick because it is: Pop off the device’s end cap and you can plug its USB 2.0 adapter into you computer to transfer files or charge it. I know, USB 2.0 transfer speeds? Not cool. But you know what is cool? 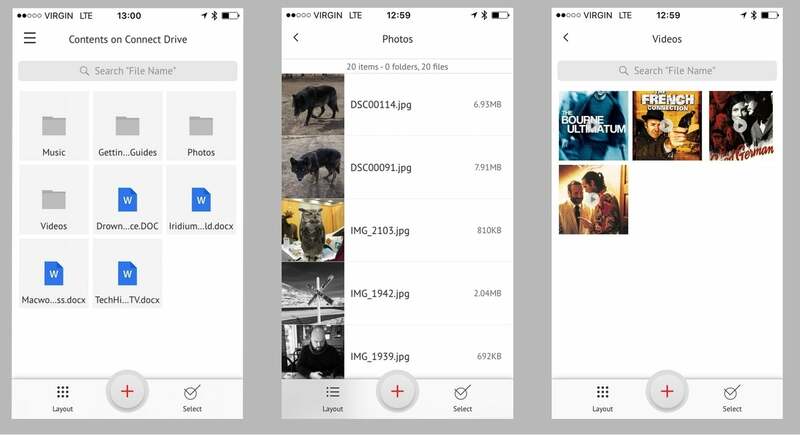 Being able to use the same storage stick to simultaneously connect, wirelessly, to up three iOS or Android devices at once, allowing them to share files or back up files, or stream movies and music. 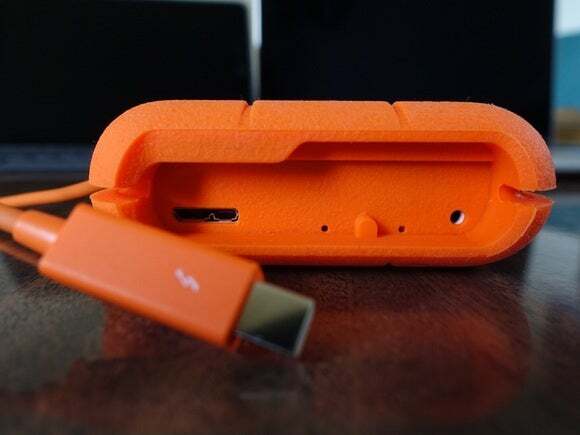 The aptly named Wireless Stick does this by creating its own Wi-Fi network. 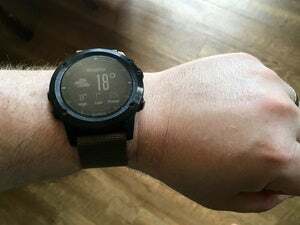 All you have to do is download the companion app to your phone or tablet, push a button on the side of the Wireless Stick to start up the device’s hotspot, connect to said hotspot, and boom, you’re in business. The Wireless Stick’s wireless range is surprisingly strong for a device that only measures 3 by 0.75 by 0.375 inches in size. I found that I still able to access the Wireless Stick’s contents up to 40 feet away in a house packed with mid-century furniture and wireless electronics. Not bad! 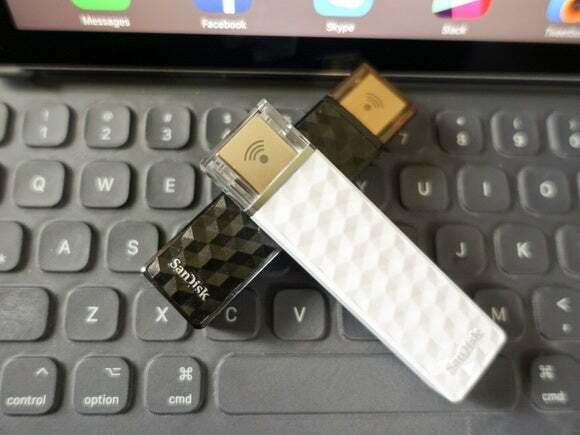 The SanDisk Connect Wireless Stick can stream data to and from three wireless devices at once, or connect via USB 2.0 to any computer. The Wireless Stick’s battery provides about 4.5 hours worth of streaming video and can be completely recharged in about two hours. Admittedly, that’s not a lot of juice. But I’ve gone weeks between charges when I was only using it to back up my photos and documents. It’s worth noting that you can extend the device’s battery life by plugging it into an external battery pack or a spare USB power adapter. The Wireless Stick will keep on working its magic as it charges. The Wireless Stick’s iOS interface is a minimalist, easy-to-use dream. The Wireless Stick’s not going to take the same amount of punishment as the Rugged RAID will, but as it relies on solid-state storage as opposed to a hard drive, I feel that the level of data resiliency it offers is still solid. So far, mine’s survived a ton of casual abuse being banged around in my backpack, and it still works after being left on a patio table during a downpour. Over the past few months, I’ve used the 64GB version of the Wireless Stick in coffee shops to shuttle sensitive files from my phone to my laptop and tablet, to back up pictures for work at the end of a photo shoot, and to pack a few extra movies to watch on a cross-country flight, saving my iPad’s storage for music and apps. I liked it so much that I sprung for the 200GB version (currently $94 on Amazon), knowing that I’d never regret the investment. If you wind up taking either the Rugged RAID or the Wireless Stick for a spin, let me know what you think. Next time: Has it been two months already? It’s time to declare a winner in my quest to find the best language-learning software.